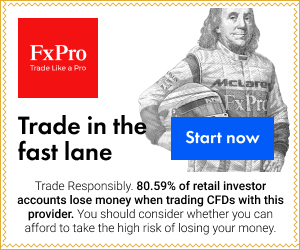 Fx Swap points or currency swap points is the difference between the spot rate and the forward rate in currency pairs that are indicated in pips. Normally this is carried out for a certain type of a currency pair which you want to trade. Within this a financial concept called Interest Rate Parity is used to calculate the points. This concept reveals that after investing some money and after getting the returns for different foreign currencies you have to make a comparison with the interest rate without doubt. Forward dealers using this concept identify swap points in Forex currency trading simply by considering the advantage or the net cost when borrowing and lending currency mathematically over a period of time covering the forward delivery and spot value date. To be able to understand the equation and how it works for rollover swaps you have to carry out a practical example for calculating the fair value. Being aware of the deposit rates of Interbank for each currency pair you want to deal is extremely important. You have to know the predominant terms based on the time period of the Interbank. After learning the terms you can compute the swap points for the currency pairs you want to deal by creating the base currency with the U.S. dollar by using the equation above. By discovering the interest rate of the currency pairs you are able to furthermore calculate the rollovers. Being aware of the rollover from the delivery date to the following day where you can carry on doing business in the foreseeable future is certainly one of the best examples of rollover swap. You can also make and crank out money using the interest rate of currency pairs that you buy and keeping them for a long time if the rate of interest is 0.25% U.S. Dollar for a short period of time. Because the interest rate is 5% for Australian Dollar for short term the currency held is short and you have to pay the interest rate for the currency pair. A variation in the interest rate of 4.25% of currency pair is annualized in the rollovers. And you adjust to the specific time frame by implementing the tomorrow/ next swap rollovers for 1 year if you aren’t trading with rollovers. Keeping an overnight position for a short AUD/USD there will be a variation in interest rate of 4.25% annually that is divided by 360 for a dealer as a rollover fee. Plus for a rollover period of one day is represented by 30/360. And for a day rollover swap it’s represented by tomorrow/ next rollovers. By multiplying the sum of the transaction with the interest rate for tomorrow/ next period you’ll get the rollover fee of currency pairs. And by converting the currency into AUD/USD to get fair value price retail brokers usually charge the rollover fee in pips. Holding a long position to get the sum equal to the AUD/USD dealers would try to rollover for a long term deal. But because of the downward offer spread by the Forex broker agents the amount received will be less. Find more answers read articles about “Usage of basis swaps for hedging”. At our website we promote mostly swaps free forex brokers. Please visit our page where we listed top forex brokers.